Subtropical storm Debby maintains strength in latest update. Debby, the fourth named storm of 2018 in the Atlantic, got unexpectedly stronger on Wednesday night, with its maximum sustained winds hitting 50 mph. Debby is in the central Atlantic and no threat to land, and the National Hurricane Center expects it to dissipate in a few days. 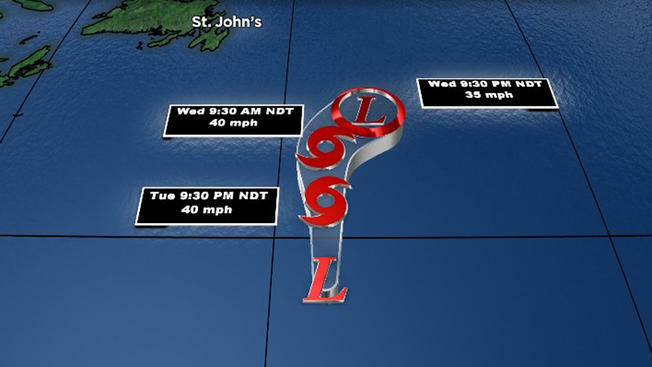 As 10 p.m. CDT Wednesday, Tropical Storm Debby was located about 1,075 miles west-northwest of the Azores and was moving northeast at 13 mph. Debby’s burst of intensification isn’t expected to last. The hurricane center expects the storm to gradually weaken and transition to an extratropical storm on Thursday and dissipate by Friday. While Debby isn’t a threat to the U.S., another storm is moving close to Hawaii on Wednesday. Category 3 Hurricane Hector is tracking south of the islands, far enough south that a tropical storm warning was canceled for the Big Island. As of the last update from the Central Pacific Hurricane Center, Hurricane Hector had winds of 115 mph.